2017 was a busy year for the medium duty, wholesale truck market. With volumes up more than 10%—and a serious shortage of vehicles—perhaps the strongest year for wholesale pricing the industry has seen in quite some time. But with 2018 already well underway—and the demand for high-quality, wholesale vehicles notching even higher—what will 2018 bring? Of course, these are just our opinions. And, while we feel strongly about them, as always, we encourage you to consider all factors when making any business decision. But—as the leader in medium duty truck disposal—FLD will always strive to keep our finger on the pulse of what’s happening today, so you can stay one step ahead of the competition tomorrow. With that in mind, let’s take a look at the year that was 2017. Several reasons led to 2017 being one of the strongest year’s we’ve seen for wholesale pricing in almost a decade. To begin with, the supply of whole¬sale medium duty trucks has been gradually crawling back to pre-recession levels. This is due largely to a high-demand for pre-emission vehicles (prior to 2007,) and an aging—and scarce—supply. Adding to the shortage? There were simply less vehicles built during the economic downturn from 2009-2011. 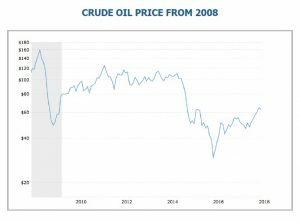 Also adding pressure—pricing for trucks in the first post-emissions generation (2008-2011) has not fared as well, while pricing on 2012-2017 trucks has become sporadic and inconsistent. There are simply not enough high-quality wholesale medium duty trucks available, meaning this uptick in demand has spurred an increase in the overall pricing for trucks within most sectors of the medium duty class. 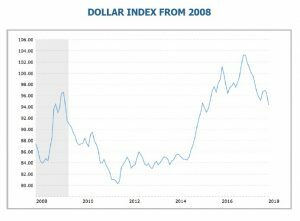 Complicating matters even more, while the US dollar slid throughout most of 2017, it remained relatively strong compared to early 2015 and much of 2016. This stronger dollar hampered exports, and while the flow of used medium duty trucks to Central and South America has been strong, the exports to Canada have been especially soft since late 2014. WHAT’S DRIVING TODAY’S MEDIUM DUTY MARKETPLACE? Truck wholesale volume is driven by a variety of economic factors. Two of the most prominent—and consistent—bellwethers are unemployment and construction. When it comes to unemployment, the equation is simple. 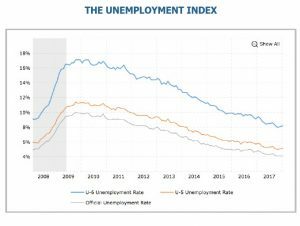 Trucks need drivers, so with 2017’s historically low unemployment rates, plenty of people were purchasing trucks, increasing demand and driving up prices. When people are employed, they purchase goods, meaning more medium duty trucks are needed to deliver the goods, raising demand for wholesale medium duty trucks. Perhaps even more important? The emerging “last mile” factor. In today’s internet-driven world, more and more goods are being delivered by medium duty trucks, as consumers enjoy the ease of online shopping. 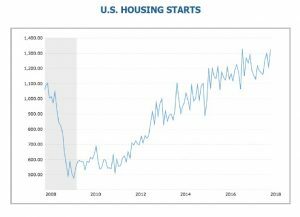 This increased demand is also very apparent in housing start numbers. Because home building requires not just cement and lumber—but thousands of components—delivery trucks are in demand. In addition, entities like big box stores, ware¬houses and infrastructure services —all of which depends on trucks —are also susceptible to housing construction. Not surprisingly, 2017 saw these areas stabilize, creating an uptick in wholesale truck volumes, and a marked increase in demand. As is customary, regulatory issues continue to put pressure on not only medium duty wholesale volume, but price as well. This is especially true when it comes to the scarcity of CDL drivers, as complex regulations and a difficult licensing process have made it hard to find—and retain—quality CDL drivers. This situation has put an unusual amount of upward pressure on the under CDL truck class (class 6 and under) and changed the usual pricing structure. Whereas in years past a similar make, model and spec’d truck would bring more money in the 33,000-pound class. Today, we are seeing higher demand—and pricing —in the 26,000 and under classes. And while this phenomena has been a boon for the 26,000 GVW market, it has provided some unexpected headwinds for the over 26,000 GVW market.